The 1987 MLB season marked the first World Series title in Minnesota for a franchise that was originally born in 1901 as the Washington Senators, and just the second in the full history of the team since Hall of Fame pitcher Walter Johnson brought a title to our nation’s capital in 1924. 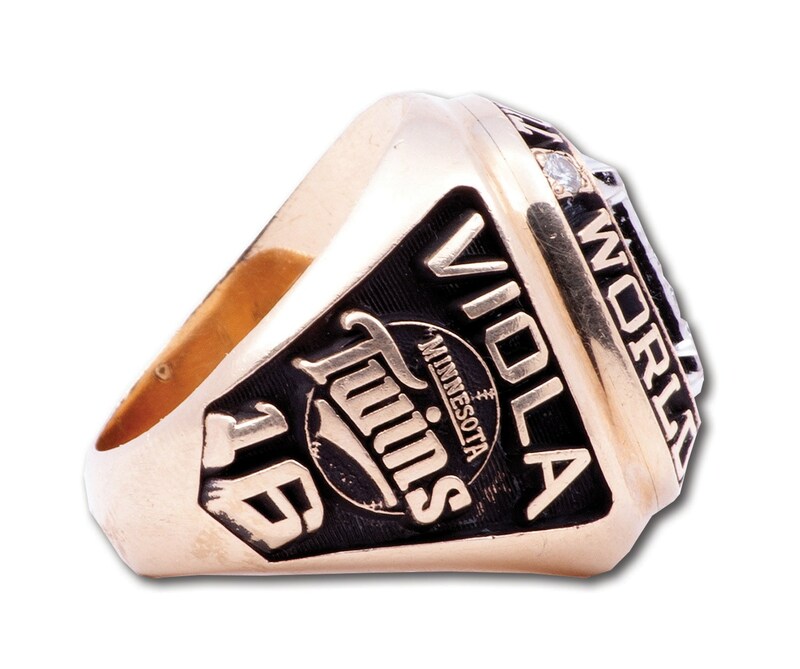 The ’87 Fall Classic matched the American League Champion Twins against the National League Champion St. Louis Cardinals. In a tightly contested series, the Twins emerged victorious after edging out the Cards, four games to three. 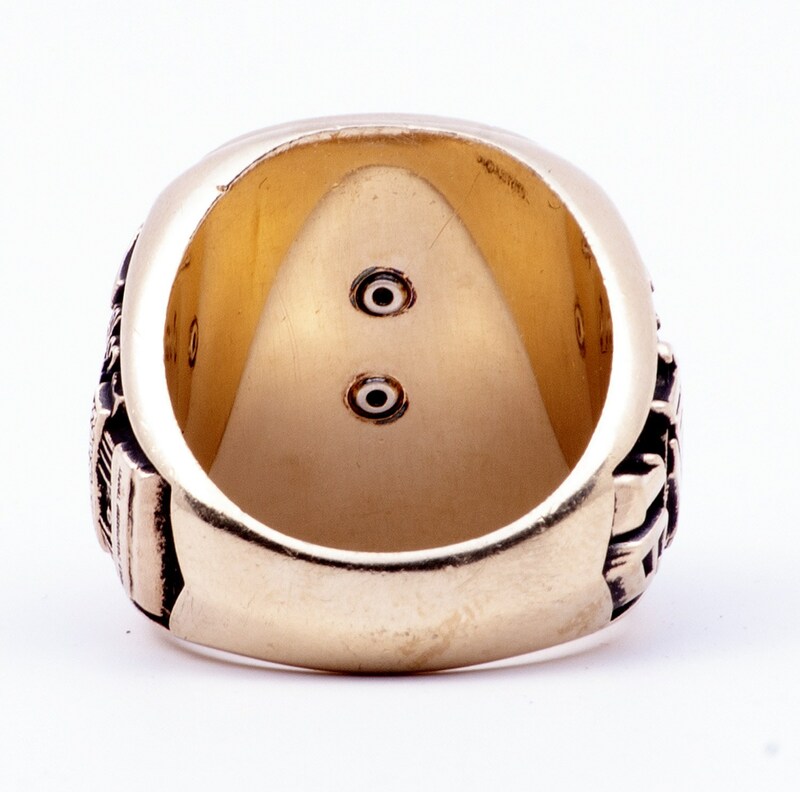 This is an actual Josten’s salesman's sample ring obtained by a Jostens employee in the period in which it was made. 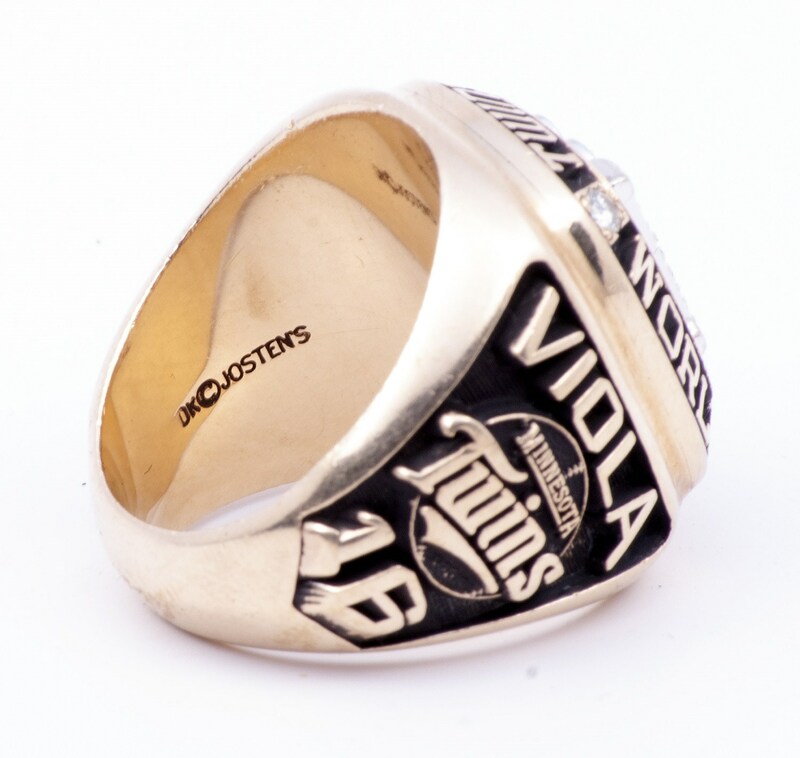 The 10 karat gold ring is stamped by Jostens inside the band with adjacent “10K” stamping. It features the name of the Twins Hall of Fame ace and ’87 Series MVP, "VIOLA" on one shank with the Twins logo and his number "16." 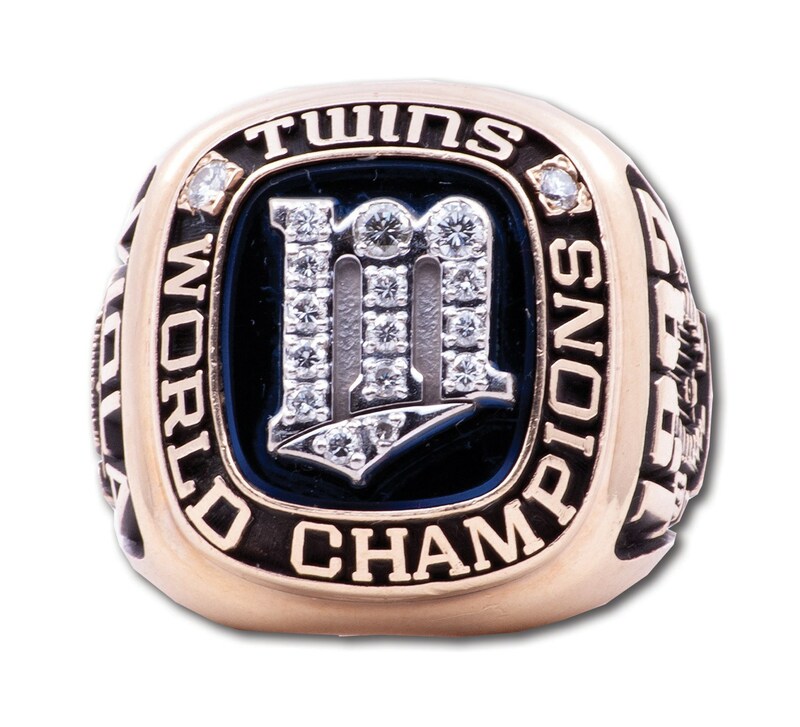 The Minnesota "M" on the face is encrusted with real diamonds and set atop a blue stone encircled by “TWINS WORLD CHAMPIONS” and two additional diamonds. 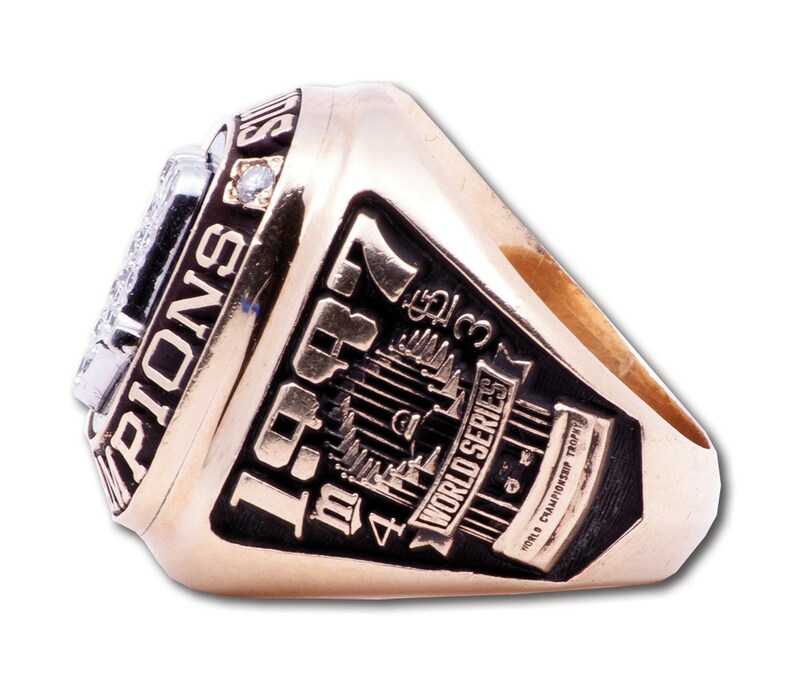 The other shank provides the year “1987” and a rendering of the coveted World Series trophy along with the tally “4-3” of the tightly-contested seven-game battle, the first in history in which the home team won every game. The ring displays little if any wear. Ring size: 11.